Hello! Happy Monday! I hope you all had a great weekend. The boys had their vacation week this past week and so we ended our week attending two birthday parties yesterday. My best friend from college’s mother was celebrating her 80th birthday. I made this card for her since she did not want any gifts.We all had fun and then after a few hours we went to celebrate my brother-in-laws birthday where my mother-in-law had prepared a delicious meal and made a home-made cake. 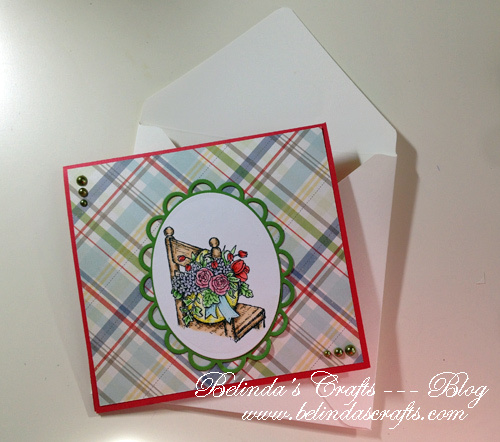 I used two different Flourishes’ stamps to create this card. 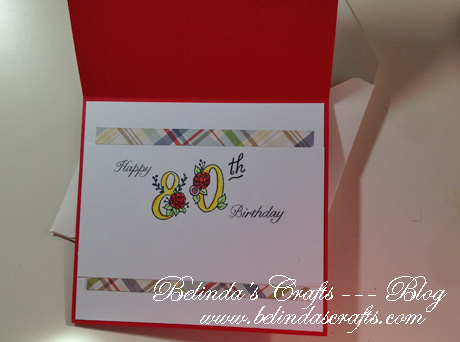 I look forward to using the numbers (Numbers in Blossom) again for more birthday cards. Your card is lovely. I am a sucker for flowers. Thank you for sharing. I LOVE THOSE NUMBER STAMPS! VERY PRETTY! If you ever need to use them. I will bring them to crop.